In my last blog post I talked about use of macro lenses and how the “rules” of composition applied to images taken with them. In today’s post I’m going to show how close-up and macro photography can give images that are very abstract, because of their ability to remove all information about scale. Here is a close-up of part of a red bedsheet on a washing line on a perfect drying day. 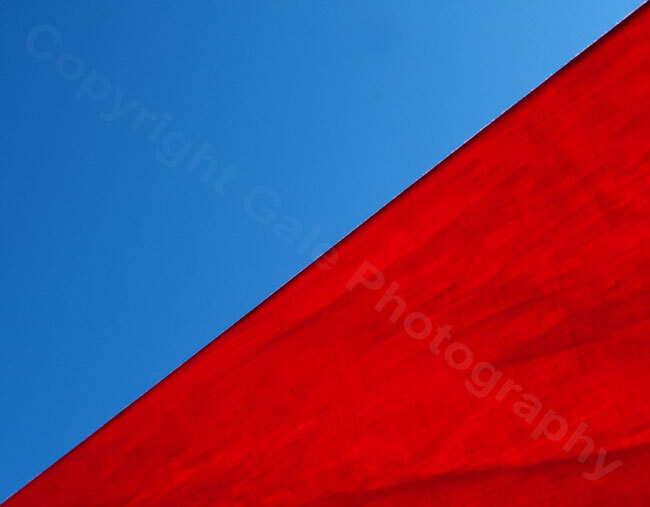 The red against the fabulous blue of the sky makes for a simple design-led image. Composing the shapes across the diagonal produces an image that looks like a signal flag. It’s simple but effective. Macro photography can reveal startling beauty in fairly mundane things. 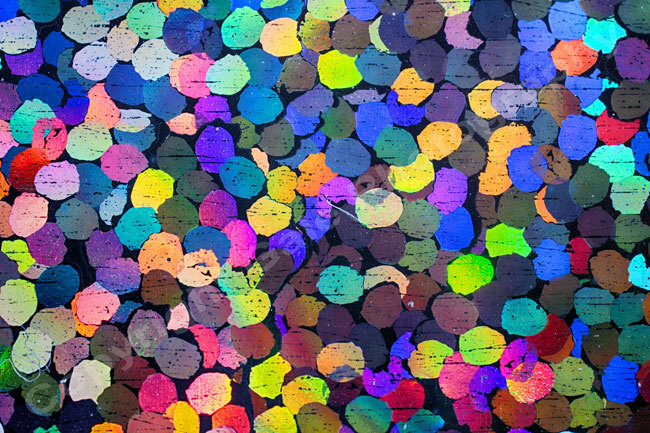 This is a 1:1 macro image* of some glittery wrapping paper. The individual reflective elements in the paper form a striking pattern, and there’s almost a 3-D effect where they overlap. * 1:1 means, in the case of my Four-Thirds sensor, that something 17.3 mm wide covers the whole width of the 17.3 mm wide sensor. It is the same size on the sensor as it is in real life. Even more of an abstract look can be obtained by being creative with the limited depth of field that you get with macro photography. This perfume bottle has coloured foil in its base which gives attractive colours to the glass as you turn it. 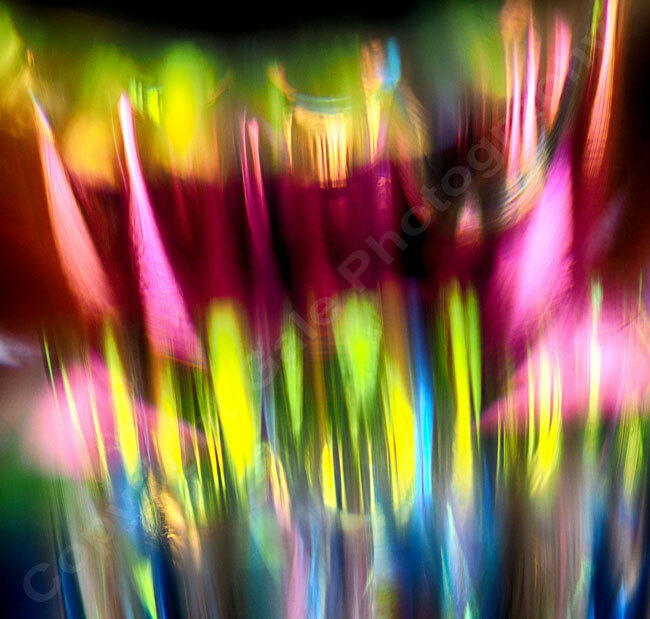 I’ve focused on structure of the glass and the colours in the background have gone very diffuse. It’s now an abstract of shape and colour, and it’s impossible to tell what the object actually is. Try macro as your source of abstraction.